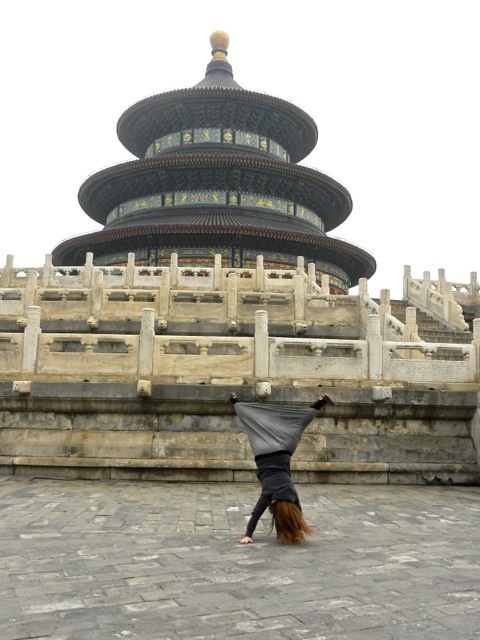 Mollie Fitzpatrick didn’t quite know what to expect when she packed up her bags to take a teaching job in China for two years. She knew it’d open her eyes and help her grow. What she wasn’t expecting was the lesson of what it felt like to be a foreigner. “I knew it would be hard. I didn’t know it would be so hard. Until you’ve been in that situation, you can’t fathom it,” Mollie said. Mollie is in her late twenties and has lived in Ohio her entire life. The Lord slowly began working on her heart many years ago to have a passion for the people of China. After graduating from college and teaching in elementary schools, she decided God was calling her to apply to teach in China. She lived there for two years. Mollie and I sat for coffee at the end of last year, a few months after her return, reflecting on all the things God had taught her. “Like today. I went to the post office, I dropped off the package. I left on my merry way. In China, it would be an hour long ordeal. The postal guy would hide when he’d see me. We’d both be so frustrated,” she laughed. Mollie said it’s so easy to have a sense of entitlement here in America since everything is so easy for us. She explained that she had to erase the word “should” from her vocabulary when she went to China. She should be able to order a pizza or find a bottle of shampoo in the store. We should be able to understand everyone around us. It’s easy to get that “the world revolves around us” mentality. For instance, when you talk to an international telemarketer or customer service person with a thick accent, how easy is it to get impatient and annoyed at the person for being difficult to understand? Yet the Chinese were incredibly gracious to Mollie. This surprised her. They would compliment her when she was able to say something in Chinese. Even if it was something simple like, “Your baby is beautiful.” It was incredibly humbling for Mollie. Instead of shunning her for not being like them or being able to communicate easier, they went above and beyond. Even to the point of being hospitable and opening their homes to her. “How often do we open our homes to people? Especially to people we can’t really talk to easily. It’s awkward. Yet they were just very kind.” Mollie said. She clarified that although she wasn’t in exile, it certainly did feel like it at times. Yet people loved on her despite her being a foreigner in China. When she returned to Dayton, Mollie said she immediately started viewing people differently that weren’t from here. “I know more practically about how to love people that are either new to the states or maybe don’t know English or have a vehicle,” she said. Now, Mollie knows asking a simple like, “Can I drive you to the grocery store?” is an easy and practical way to reach out to someone. She remembers how hard it was in China to go to the store and only be able to buy as much as she could carry on her bike. Little situations like these have opened her eyes to ways to help those around her now. “It didn’t ever occur to me before. I wanted to help them, but I didn’t have any frame of reference,” she said. Sometimes it’s just a simple act of asking someone how they’re doing or where they’re from that helps opens door, too. 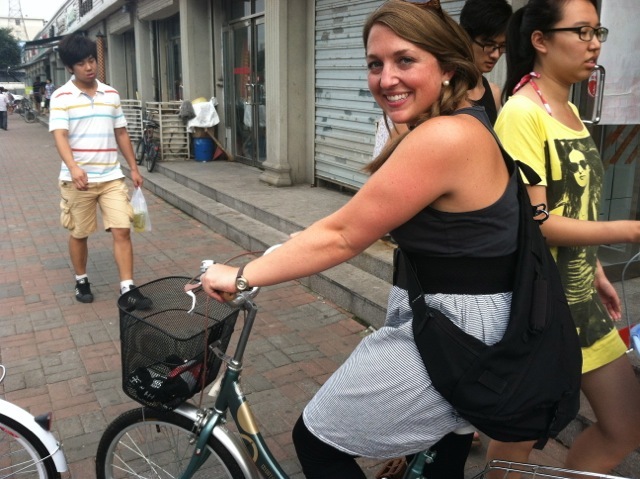 When Mollie was homesick in China, people asking her about her home were some of the best conversations she had. It allowed her to open up and share. Mollie said it isn’t like these situation will just show up on your doorstep. You have to work at finding these opportunities. For Mollie, she signed up to help ESL kids at a nearby school when she moved back. She also mentioned the African refugees in Dayton. Or the large Turkish community in Old North Dayton that could probably use a friendly smile and acceptance. There are more people around us than we sometimes realize that may be feeling a bit like a stranger in Dayton.